The effects of e-cigarette minimum legal sale age laws on youth substance use. A new study commissioned by the Onassis Cardiac Surgery Center in Athens, the National School of Public Health and the universities of Patra and Macedonia has revealed that cigarette smoking in Greece has been drastically reduced. Credit for this sea change in behavior is thought to be due to the use of electronic cigarettes. A high proportion of Greek citizens has quit smoking altogether due to the use of these new types of cigarettes as they weaned themselves away from smoking traditional cigarettes. It is aiming to reduce smoking prevalence from the current 10% to 7.8% by 2025. The Hong Kong government is moving to propose legislative amendments to ban the import and sale of electronic cigarettes, according to a statement. The administration is hoping to reduce smoking prevalence amongst people aged 15 and above to 7.8% by 2025 from the current 10%. The emergence of new smoking products like e-cigarettes and heat-not-burn tobacco products poses new health risks and challenges, said secretary for food and health Sophia Chan. Japan Tobacco Inc (2914.T) on Thursday unveiled two “heat-not-burn” products, as it races against market leader Philip Morris International Inc (PM.N) for a larger share of the vaping space with conventional cigarettes steadily falling out of favor. Surgeon General Jerome Adams and the Food and Drug Administration’s Scott Gottlieb are pushing on with attacking vaping and tobacco harm reduction under the guise of protecting America’s youth. Polite commentators are saying the pair are being disingenuous, others are claiming this is a politically driven campaign of lies. Jerome Adams told CNN: “Studies show youth like my son [who is 14] have no clue what’s in these products.” The studies he fails to cite also claim that teens think vaping is “cool” and “safe”, and a third of teen vapers are abusing illegal substances with their devices. Simon Chapman is attacking vaping and vapers again. Nobody is sure why he does this, given his support for harm reduction in all other aspects of life. He derides vapers and their success stories and selectively quotes from work by Robert West. 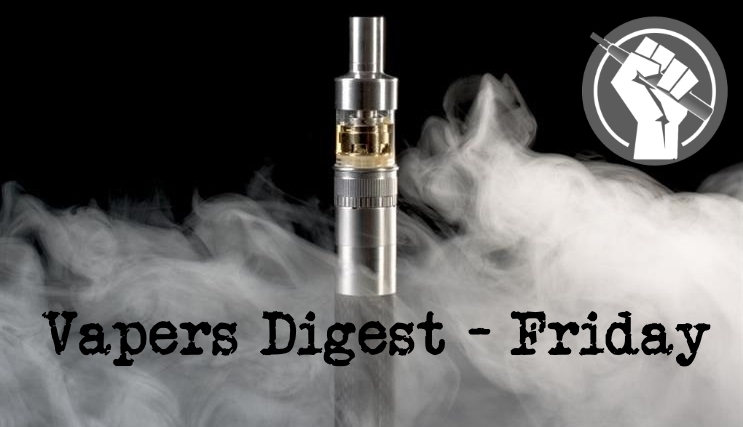 “Any radio discussion of ecigarettes inevitably attracts evangelical callers wanting to tell their story of the miracle they have experienced,” writes Chapman. The dismissive analogy is in keeping with his superior atheist attitude, writing off callers as fantasists believing in something that doesn’t carry any evidence. Competitive Enterprise Institute (CEI) warn about the ‘Fear Profiteers’. Israel bans harm reduction product advertising. Researchers find that smokers opt to vape in order to reduce their exposure to tobacco-related harm. Ethiopia proposes a law that would ban the sale of vape products entirely. Queensland Health has been misleading smokers about the laws on vaping and has been caught out twice in the past year. Although there are ways to legally vape with nicotine in Australia, Queensland Health has been telling smokers that they do not apply in Queensland. This behaviour is bungling at best, or dishonest at worst. Whatever their beliefs, governments have a responsibility to ensure accurate information is provided to consumers. Queensland Health’s opposition to vaping is no justification for deceiving the public to further its agenda. Vaping Is Good, Vaping Works.. I used to be a smoker. It was stupid, I know, but I did it for a very long time. I’m not alone, not unique, plenty of people made that same choice I did to take up the nasty habit when we were young and convinced we were invincible. Like tens of millions of Americans, I managed to quit and haven’t looked back. I would still be smoking today if not for the miracle (and it is indeed a miracle) of the e-cigarette. I vaped like a madman…and it was my bridge to a much healthier and happier lifestyle. During the recent winter session of Parliament, the ministry of health and family welfare stated that it had issued an “advisory” to all states and Union Territories to stop sales of electronic nicotine delivery systems (ENDS), or electronic cigarettes (e-cigarettes). Without missing a beat, the government also said it has no plans to treat the conventional paper rolled cigarettes in a similar fashion. This defies logic. Is The Ban On ENDS Healthy? The recent Advisory (dated 28.08.2018) issued by the Ministry of Health and Family Welfare to ban Electronic Nicotine Delivery System (ENDS), including e-cigarettes, in a market which is flooded with conventional tobacco cigarettes and other tobacco and nicotine-based products raises many questions on public health.